The Reds saw a two-goal lead slip away but substitute Roberto Firmino struck a late winner. Jurgen Klopp hailed Liverpool's battling performance against PSG after they struck late to secure a deserved Champions League victory. The Reds established a two-goal lead thanks to a header from Daniel Sturridge and a James Milner penalty, but after Thomas Meunier reduced the arrears, Kylian Mbappe struck on 83 minutes, seemingly stealing a point for the visitors. There would have been a great sense of disappointment had Roberto Firmino not fired in a superb stoppage-time winner given that Liverpool had controlled the game for large periods. Speaking after the match, Klopp expressed his satisfaction with an excellent team performance, and was particularly impressed with his how side were largely able to frustrate one of the best attacks in European football. "It was good, really good in all departments pretty much," he said. "It is so difficult to defend them, but we did. Good organisation and a big heart is always a good combination for defending. All 11 players were involved in that. "A good performance against an outstandingly strong opponent; it was necessary we played good. "The atmosphere was fantastic, so special to do these things in this stadium. It was nice." Whilst it was Firmino who produced the late magic, Sturridge's opener marked the latest step in a quite incredible revival. Liverpool were ready to sell the injury-ravaged forward in the summer but he forced his way back into contention by starring in pre-season and rebuilding his fitness. Klopp was thrilled with how Sturridge, called upon to replace Firmino in the starting line-up after the Brazilian's eye problem, performed. "Great performance. Great performance of Daniel," he enthused. "The three in midfield did an outstanding job, but they only can do it when the two wingers in how we play and the No.9 are helping in all these situations to keep the formation compact. "It was fantastic. I said to Daniel before the game he is the best shape since I’ve known him, physically, and now he had to use it – and that’s what he did. A super game, a super goal." 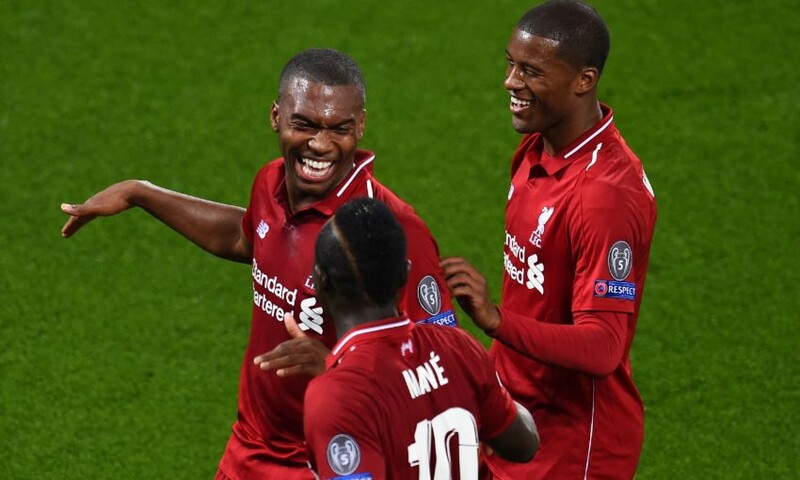 It was the Reds' first taste of European action since their agonising 3-1 defeat to Real Madrid in last season's final. Left-back Andrew Robertson says the squad have been eagerly awaiting the chance to put the events of Kiev well and truly behind them by kicking off another Champions League title bid. And it was an immensely satisfying start. “All the fans and all the players, everybody around this club, has been waiting for the Champions League to start back since May,” the Scot told BT Sport.